Relationships run the world, and we all have them. 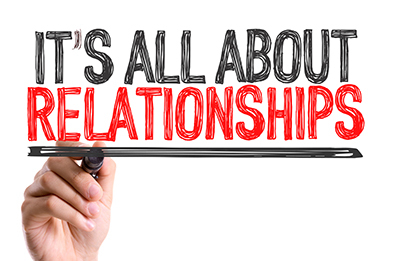 We have relationships with our parents, children, business partners, friends, the communication we live in, and oh yes, our significant others. Some of them are light and filled with fun and enjoyment, and others are confusing and frustrating. But, there is one thing for sure, our relationships with others undeniably change us. This week the New Moon occurs in Sagittarius. As I’ve mentioned before, I love this sign because Sagittarius is all about potential, possibility, and the big picture. This is an excellent time to set goals and work towards our personal objectives, and Sagittarius has a natural tendency to view life positively and optimistically. The natural energy of the sign of the archer is what gives birth to holiday cheerfulness and goodwill. Sagittarius is simply infectious. The New Moon lands in the 8th house nof the world chart. The eighth house is a little perplexing because of its association with the sign of Scorpio, but it has to do with our unconscious complexes that are activated by our relationships. So, when you put these two ideas together, this New Moon is about how our relationships change us and ultimately fit into our big picture. The New Moon forms a conjunction to Saturn and a square to Neptune in Pisces, which activates the Saturn-Neptune square that has been occurring for over a year. It also forms a lovely sextile to Mars in Aquarius that is nestled in the 11th house (friends, associates, groups) of the world chart. The positive takeaway (who needs to focus on the negative?) is that it’s time for us to question the purpose of our relationships and be honest with ourselves about our relationship motives. This allows us to view relationships from a balanced perspective and helps us see where certain relationships fit into our big picture plan. Our relationships should be in balance like everything else in our lives. It may ultimately be time to give value to relationships that no longer serve our greater good by letting go of them; knowing that they have changed us into who we are today, and are the catalyst for our creating a better future for ourselves. Additionally, it’s also time to celebrate relationships that are of value to us and make a point to nourish them further. All New Moons are magic and intention moments. It is my belief that New Moons reflect energies that we need to bring into our lives. Use this time to work on ‘big picture’ relationships and infuse them with the alchemical properties needed to enrich your life with value and meaning. 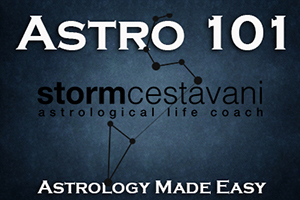 This entry was posted in Uncategorized, Your Daily Dose and tagged astrology, new moon in sagittarius, stormcestavani on November 30, 2016 by Storm Cestavani.